Here rests our dear and caring wife, mother and grandmother A.M.H. Tuinier – Soentjens, and our dear, caring father and grandfather Kornelis Tuinier. 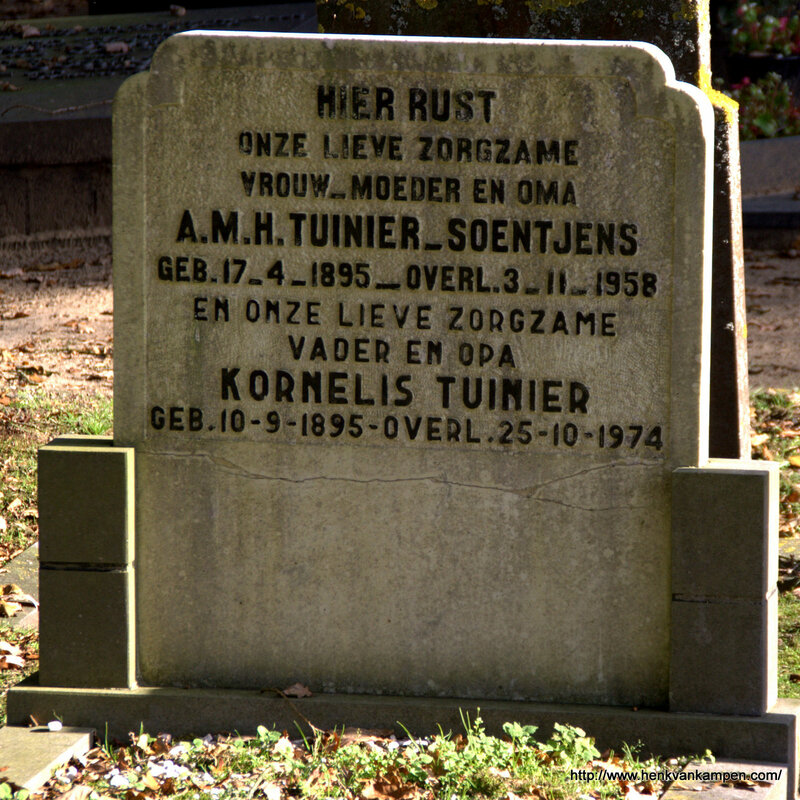 Kornelis Tuinier, son of Anne Tuinier and Korneliske van der Meer, was born on 10 September 1895 in Gaasterland, and died on 25 October 1974. He married Anna Maria Hubertina Soentjens, daughter of Peter Soentjens and Catharina Schrijnemakers. 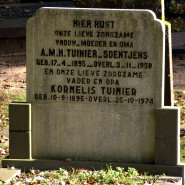 She was born on 17 April 1895 in Neer, and died on 3 November 1958 in Leersum. Their grave is on the cemetery of Oud Leusden.